This is a corner unit overlooking the pool. Kitchen w/granite counters, stainless steel appliances comes with the sale, Washer and dryer stays with the sales,You will love the breakfast bar and built-in desk. Hardwood floors, Custom closet, large guest bedroom. Two car reserved parking. Amenities include concierge, pool, & tennis. Directions:Peachtree Road heading south from Lenox Rd. Turn right on Stratford. Building on right. Park in guest lot or guest parking in garage. Get parking pass from attendant before showing. SchoolsClick map icons below to view information for schools near 3445 Stratford Rd NE #607 Atlanta, GA 30326. Home for sale at 3445 Stratford Rd Ne #607 Atlanta, GA 30326. Description: The property at 3445 Stratford Rd Ne #607 Atlanta, GA 30326 in the Paramount subdivision with the MLS# 6536870 is currently listed for $390,000 and has been on the market for 6 days. 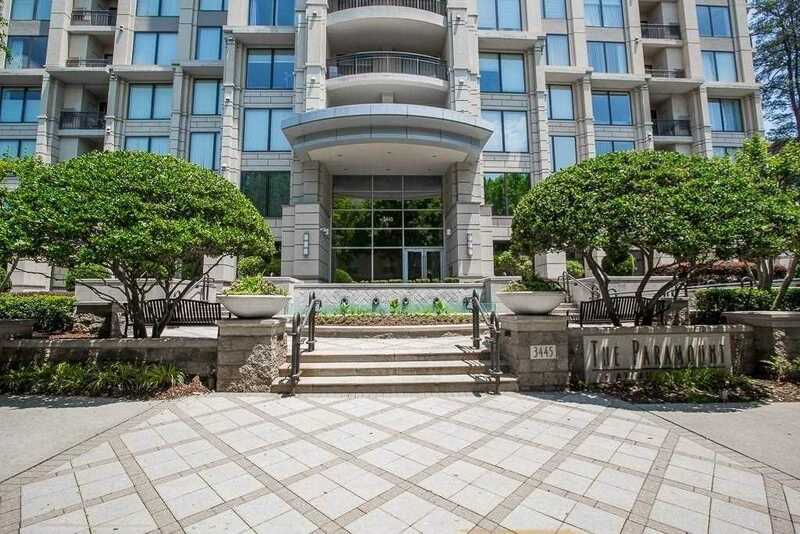 You are viewing listing details of the home for sale at 3445 Stratford Rd Ne #607 Atlanta, GA 30326, which features 2 bedrooms and 2 bathrooms, and 1363 sq.ft. of living area.